Continuing with a series of articles chronicling the Monroe Community College baseball team’s journey to the NJCAA D2 World Series later this week in Enid, Oklahoma. ENID, OK. — Matt Petrossi remembers the date well. It was December 13th, 2016, the day of the surgery to repair his injured throwing shoulder. On Sunday afternoon May 27th 2018 at David Allen Memorial Park, the redshirt freshman will take the mound for the Monroe Community College Tribunes in the NJCAA DII World Series. It’s been 17 months since his surgery, and the Tribune starter is taking nothing for granted. Getting to this point wasn’t always a certainty. Doubt started to evaporate as the wins came this season. First there was the 4 2/3 innings of work in a win over Northern Essex on March 14th. Then he threw five innings in a 2-1 victory at Onondaga CC on April 10th. He hurled six complete on April 28th in a win over Genesee CC. Five days later, the former Fairport Red Raider went five full in a win over Finger Lakes CC. With each win, he put distance between himself and recuperation. His arm strength returned, and Brust began to see the pitcher who impressed him with his baseball IQ. He hurled five innings in Monroe’s win over Mercyhurst NE in the opening game of the Region 3 Championship. 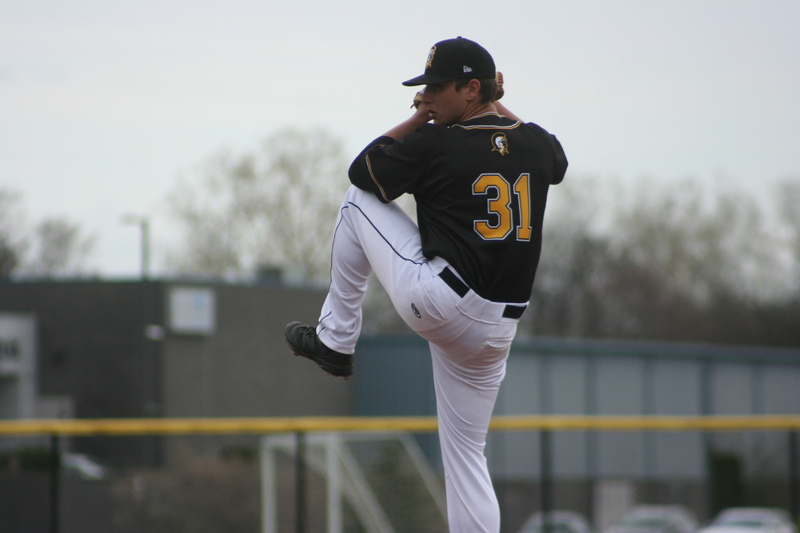 Nine days later, he went seven innings as the Tribunes knocked off Westchester Community College in the opener of the East District Championship. On Sunday, Petrossi goes to the bump with Monroe’s season hanging in the balance. MCC (30-19) plays Sinclair Community College (44-10) looking to stay alive. A 4 PM first pitch is scheduled.